COMMENTARY: What would Martin Luther King Jr. say today? Every year, Americans go through the January ritual of honoring Martin Luther King Jr., our secular civil rights saint and martyr. Marches and parades take place and multitudinous recitations of his stirring “I Have a Dream” speech at the Lincoln Memorial in 1963. We are more interested in idolizing Dr. King than applying the principles for which he died to contemporary American life. We have a knack for celebrating our heroes’ past deeds rather than examining how they might apply to us. Dr. King was killed in Memphis, supporting city sanitation workers organizing a union for better wages and safe work conditions. Yet, little mention is made of his work in favor of unions and higher pay. Indeed, wages are still low; and opponents have leveled constant warfare against unions, diminishing their membership and undercutting a vehicle for economic rights. Nor do people recall that Dr. King’s popularity at the time of his death was steadily shrinking because of his opposition to the Vietnam War, which saw a disproportionate number of men of color sent to another country’s war and returning in box coffins. The Johnson Administration and the mainline press viciously attacked this man of peace, the winner of the 1964 Nobel Peace Prize. What would Dr. King say today about all the wars in which America is involved, open or covert? This, too, drew the contempt of the power structure that would countenance a civil rights effort in the nation, but not an economic re-ordering. This is hardly in the speeches of today, commemorating his life, but ignoring one his most profound and radical challenges to American democracy. Has he failed in this? We can also accurately predict how Dr. King would approach today’s immigrant crisis. He would adamantly oppose the wall as contrary to the nation’s values and the basic moral principles of humanity. He would open our gates to people seeking refuge from violence and economic repression; he would jail no women nor assign children to desert tent camps. And we know what Dr. King would make of our still “separate but equal” schools, 65 years after Brown v. Board of Education, that maintain a second-class citizenship in our communities with severe economic consequences. The prison pipelines would fare no better. Minority persons are disproportionately imprisoned for low level, non-violent crimes. People can’t get work when they parole because of stigma, assuring their remaining in poverty. The spiral continues. 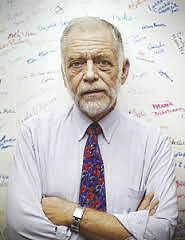 James Harrington, a human rights lawyer, is founder and director emeritus of the Texas Civil Rights Project. He writes for The Monitor’s Board of Contributors.